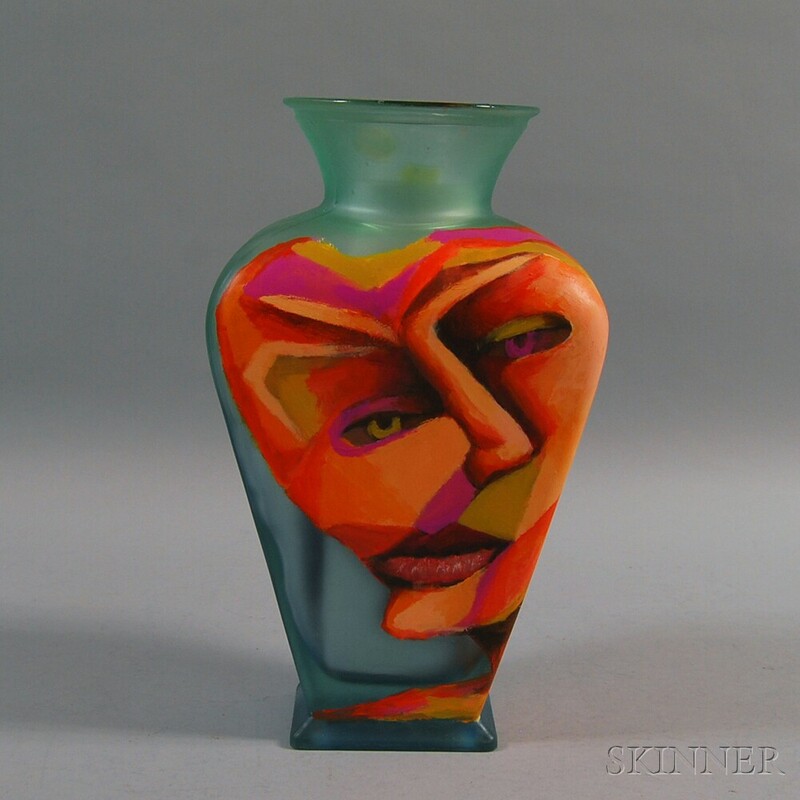 Richard Budman Glass Face Vase, second half 20th century, depicting a surreal bust of a man in hues of orange and purple, signed on underside of base, ht. 14 1/2, wd. 8 1/2, dp. 5 3/4 in. Note: Richard Budman attended Museum College of Art in Philadelphia, Pennsylvania, and the Tyler School of Fine Arts in Elkins Park, Pennsylvania. 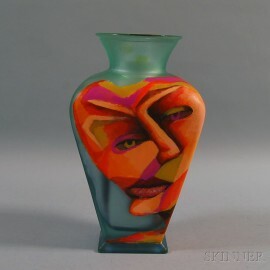 He began exhibiting his pieces in 1955, showcased in a one-man show at Temple University Art Gallery. American School, 19th Century Hillside Landscape with Cows.